Found 12 blog entries for December 2015. Thursday, December 31st, 2015 at 2:46pm. Thursday, December 31st, 2015 at 2:06pm. Congratulations to my lucky buyer-clients who purchased this authentic vintage loft space in the circa 1917 Besler Building for $548,000. The light-filled space features dramatic ceiling height with a full wall of industrial, steel framed windows, a centrally located kitchen and two raised loft spaces for an office or extra bedroom and concrete floors throughout. The historic Besler Loft Building once served as the manufacturing hub for the historic Doble Steam Car right here in Emeryville! Jay Leno even has one once owned by Howard Hughes in his collection. Thursday, December 31st, 2015 at 12:18pm. Thursday, December 31st, 2015 at 11:24am. I had the opportunity to represent the lucky buyers of this wonderfully maintained mid-century property in Upper Rockridge-Oakland with panoramic views of downtown San Francisco, The Bay and Golden Gate Bridges. This 2 bedroom/ 1.5 bath home features a bonus 630 SF 1 bedroom/1 bath apartment with separate entrance, a full kitchen and laundry, a detached work studio, detached finished garage, hardwood flooring + original stained beamed ceilings throughout, and wrap around decking on each level! The escrow closed at $945,000. If you are curious about mid-century properties, I can help! Saturday, December 26th, 2015 at 2:59pm. With the New Year just around the corner, the inevitable question seems to be, will the real estate market in 2016 continue its hot streak? Naturally it’s presumptive to try to surmise what the future will hold, but all indications seem to point towards a more steady and stable real estate environment for 2016. Thursday, December 24th, 2015 at 5:14pm. Monday, December 21st, 2015 at 10:18am. In news that isn't surprising for many people in the Bay Area, a report released by real estate rental website Zumper has confirmed that Oakland rents are higher than ever. As of December 2015, Oakland has become the 4th most expensive rental market in the country -- surpassing San Jose for the first time, and behind only San Francisco, New York, and Boston. Oakland also had the largest year-over-year increase at 19% compared to this time last year. You can see the full article here. With rents continuing to rise in Oakland, now is a great time to look at buying! Many of our clients have purchased their first homes with monthly payments similar to or even less than their former rent payments. Monday, December 14th, 2015 at 10:18am. Congratulations to our buyers that just closed escrow on an awesome loft located at 2336 Magnolia St. in West Oakland for $585,000! This recently-converted loft was a spacious 1,328 square feet laid out on two levels. It featured high-end finishes throughout, with large windows, an operable skylight, a large kitchen and two full bathrooms. The loft-style bedroom area overlooks the living area. It also had all the great character you come to expect from a loft conversion: high ceilings, exposed brick, and timber ceilings. Friday, December 4th, 2015 at 12:48pm. Come check The Winter Fair tonight. Enjoy the sights and sounds starting at 6:00 p.m. Temescal Art Hop was recently voted "Best Best Art Murmur Offshoot"
Thursday, December 3rd, 2015 at 2:36pm. 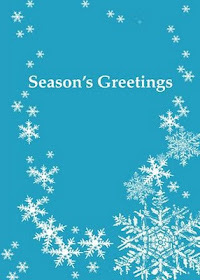 Happy Holidays from East Bay Modern! Hope you had a wonderful Thanksgiving Holiday. The real estate market slows down at this time of the year. In November, 41 properties changed ownership in Berkeley, that's 20% less than the same month last year. The median sold price is only about 7% higher than the asking price, which indicates less competition. Sellers listing properties this time of the year tend to have compelling reasons to sell and it may work favorably for buyers. Buyers who are tired of competing against other buyers may find a nice break from the competition and finally find their dream house.